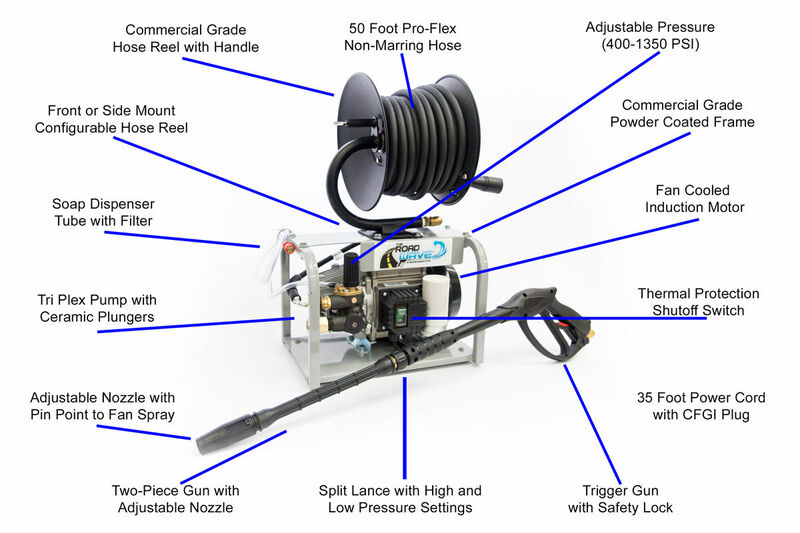 The Road Wave is the only on board pressure washing system in the RV industry. 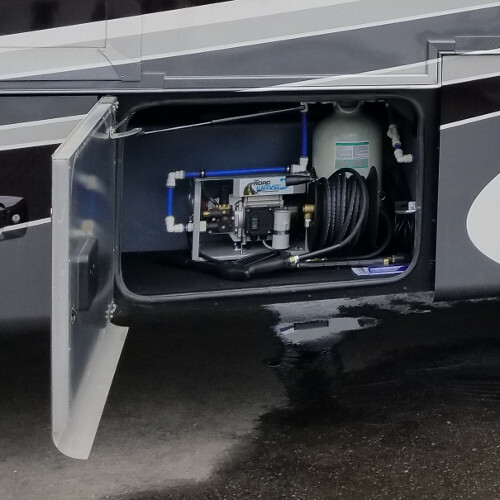 The system, washes and rinses your RV Anytime, Anywhere. 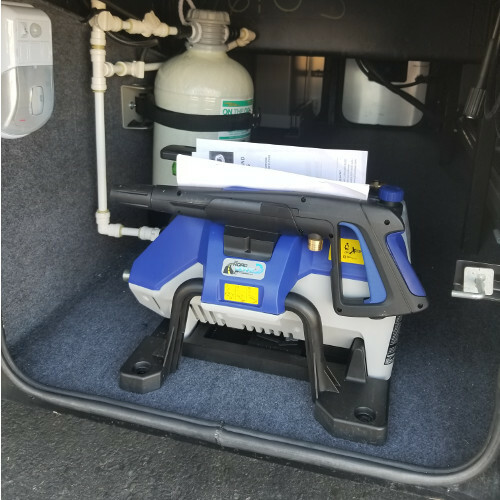 It was created to make the RV experience: safer and more convenient for the RV owner, an investment to insure your investment, not just with money but your time, to enable you to enjoy more time on The Road, and less time cleaning the road off your RV. 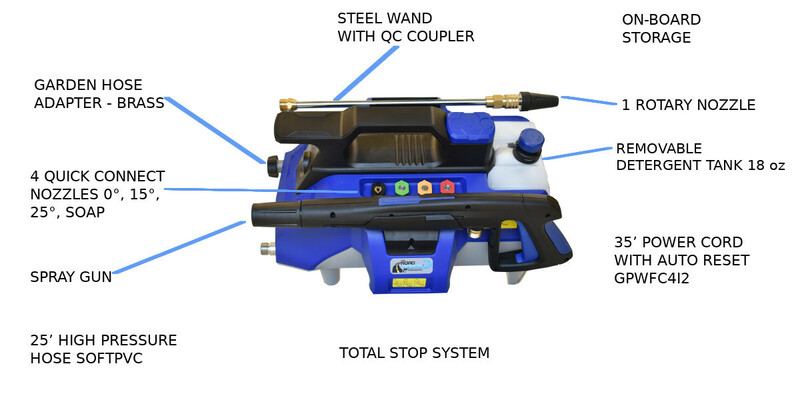 The Dual Pro can easily transition to a household powerwasher for the weekend warrior. Disconnect from the mount for use around the house. What are you waiting for? Ride the wave! 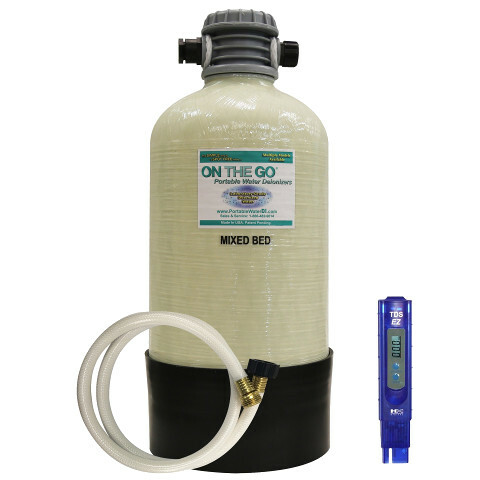 On The Go's portable deionizer (DI) water system produces laboratory-grade water for use in a variety of applications from residential to scientific and industrial settings. 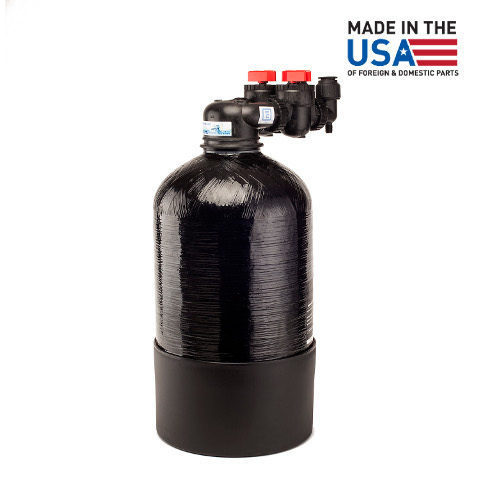 We are proud to partner with a leading water softening & deionizing solution. 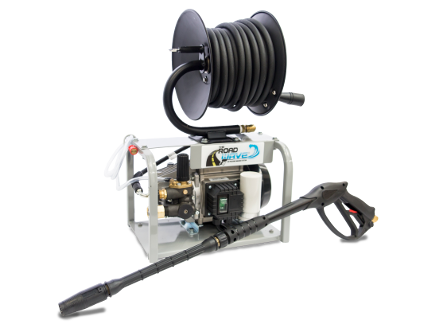 The MCDI50 Flow Through Filter is the perfect size for washing RV’s, Cars and ATV’s. No more searching for an RV friendly car wash in a new town! Just take a minute and wash your coach and tow-car before unhooking and setting up. If you love your toys and made the investment to stay where you play, the Road Wave is perfect for keeping it all nice and tidy. 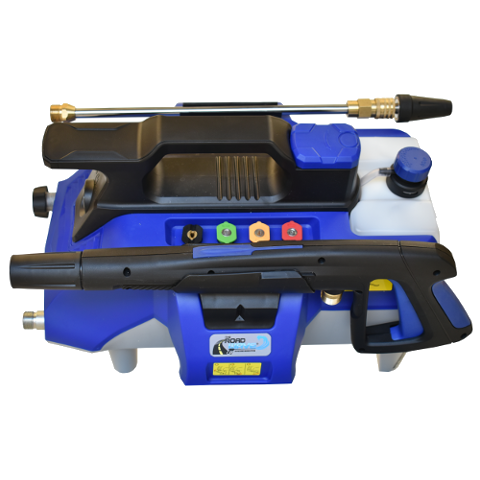 Spray away the mud and dirt before you load up and keep that investment spotless! If the motorcoach life is for you, but you like to do it on a slightly smaller scale, then the compact Road Wave is perfect for your Class A or C motorhome. This small package packs a BIG punch. Take your equestrian experience to the next level with the Road Wave and keep that horse friendly trailer as clean as possible.